My name is Alasdair McKee. I have been coaching rugby for 14 years now at all levels. As someone who has also owned and run a business in the past I have learned that running a business and coaching a rugby team are, in fact, very similar. They present the same on going challenges and indeed use many of the same methods and principles to solve problems and improve. 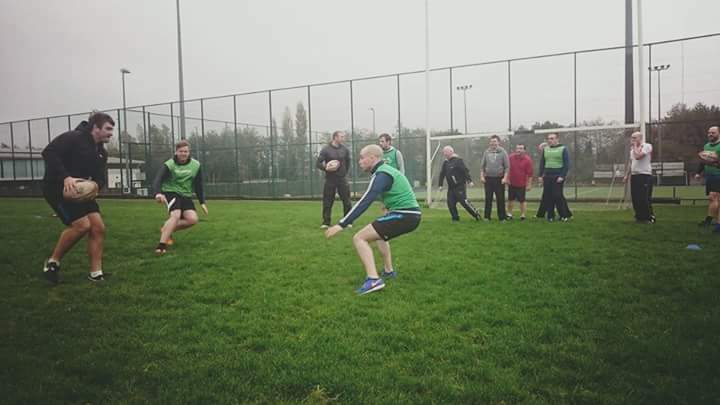 Offload Rugby is my way of bringing sport and business together and using the similarities to have fun, increase our wellbeing and improve our teams. If we can have some banter along the way then better still! We work with organisations to improve productivity, communication, team work and responsibility, through a combination of fun classroom and pitch sessions alongside motivational talks. They are given the opportunity to construct their own fun, rugby based games and apply the skills uncovered in these to their workplace. We host tag and touch rugby events for companies and groups to play in a competitive environment. If required we can also offer coaching sessions in preparation for this. This is done in tandem with schools, colleges and community groups and can include coaching, blitzes and community events. It is inclusive of all age groups. Many of these participants will not have played rugby before. We are happy to work with local clubs and point interested players in their direction. 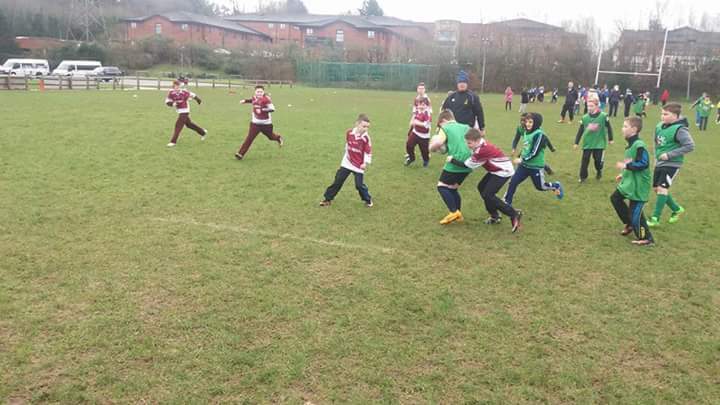 This can be specialist skills and unit sessions as well as tag and touch rugby. It may also be full on pitch game sessions. 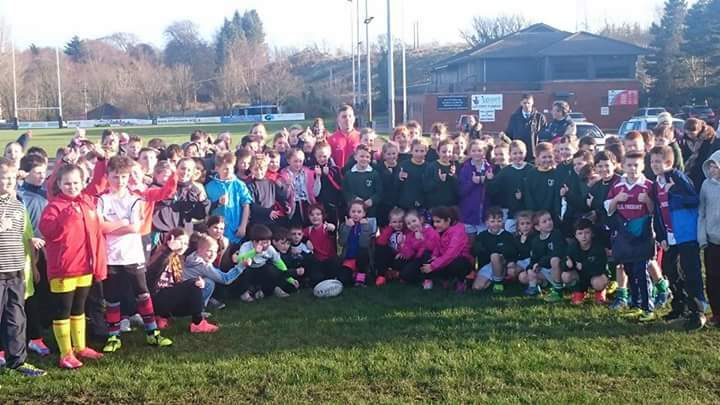 Again, some of these schools will be new to the game of rugby so it is important we make all the sessions fun and inclusive. To book a place on one of our Offload Academy Camps click here. We will construct fun, challenging classroom and group work sessions which will highlight and tackle specific aspects you want to improve within your teams, for example, communication, resilience, team spirit or culture. We will also highlight these on the pitch to you which is not just fun, but also competitive and hugely enlightening. You will have a chance you draw up and coach your own relevant games too. We will tackle the personal development and mutual understanding part of the curriculum for schools. This is done over five separate modules including, respect, leadership and healthy lifestyle. Offload Rugby introduces children not only to the thrills of rugby but to the way of life and sportsmanship that comes with it. 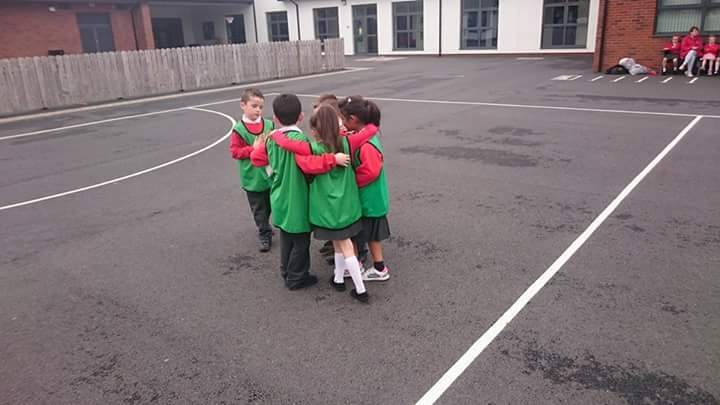 We saw a multitude of advantages in introducing rugby but we couldn't have imagined how popular its coaches and their approach would become with our pupils. We were always impressed with the truly pupil-centred service we received - designed carefully, delivered professionally. A British and Irish Lion in 2009, 35 Ireland caps , 106 Ulster caps, the big man needs no introduction. A member of the 2009 Ireland Grand Slam winning team, Stevie has made a global impact on our beloved game. If it moved he hit it. 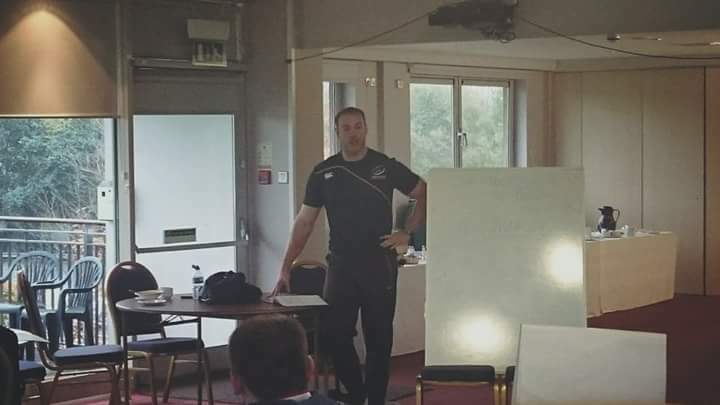 These days he is a level 1 IRFU coach and is a tremendous motivational speaker. We are proud to have him on the Offload team and his role will be both classroom and pitch based as well as product endorsement for our clients. Alasdair has worked in development roles with Ulster Rugby as well as having been Head Coach of Ulster Juniors and coaching within the Ulster Clubs under 16s and under 17s squads. He is IRFU Level 2 accredited and also an IRFU Tutor and Observer. Alasdair is the Head Coach of Grosvenor RFC and has previously been Head Coach of both Enniskillen RFC and Academy RFC. He set up Offload Rugby in May 2015. Roy has many years of experience within the Sports industry. 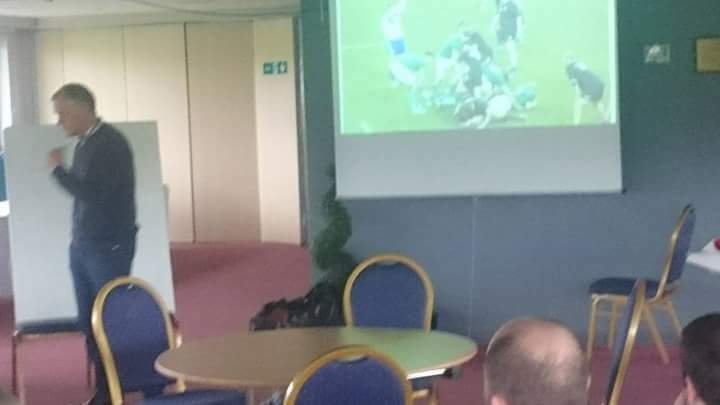 He has worked in development roles for Ulster Rugby, Ards RFC and North Down Council as well as having been Assistant Coach with Ards RFC and Head Coach with Civil Service respectively. Roy has developed the game in areas where it traditionally has not been played before and has a long list of success stories in places like Colin Glen Trust and the West Belfast area. He manages the community end of Offload Rugby. 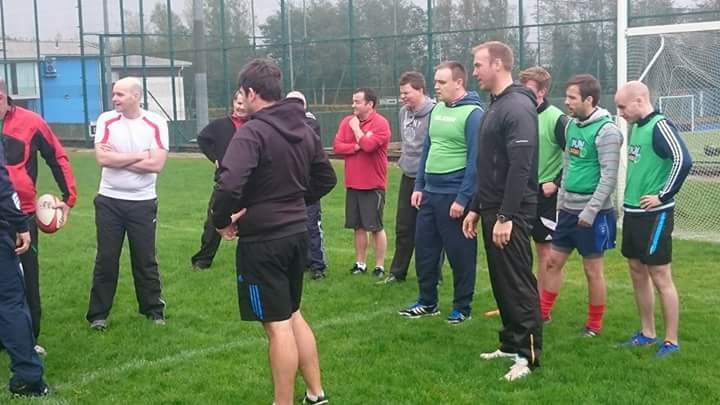 Ryan is a fully accredited Strength and Conditioning Coach and an IRFU Tutor. 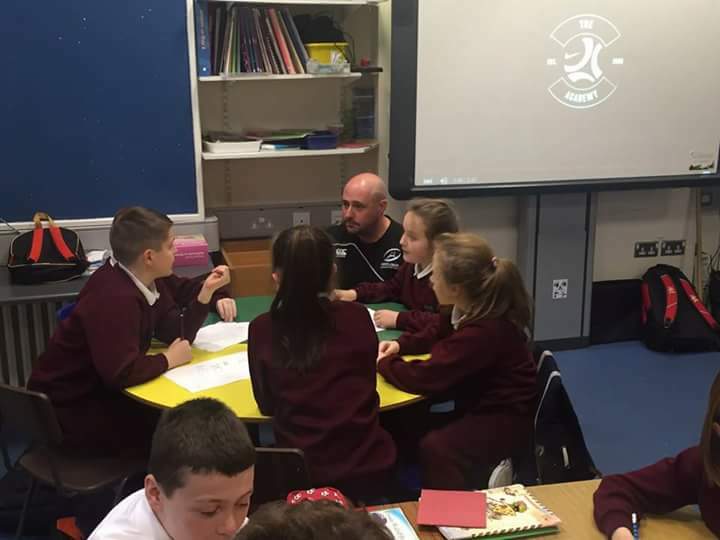 He has worked in Fitness Developent roles for Ulster Rugby and Irish Ladies as well as Ulster Schools and Clubs Representative teams. Ryan currently works with both Ballymena Academy and Rainey Old Boys. The Offload experience was a great opportunity for Robinson Services managers to consider how we behave and connect as a team. It didn’t take long for everyone’s competitive spirit to shine through under the watchful eye of Alasdair, Ryan and Stephen! I would recommend Offload to any management team seeking an unusual, fun team building activity.